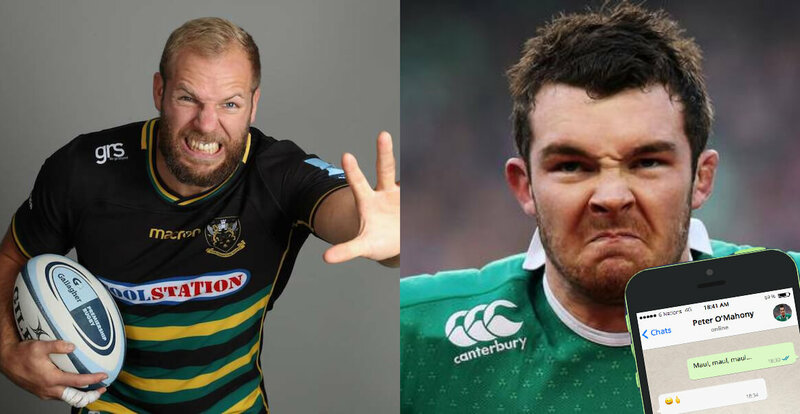 England international James Haskell has revealed a funny text exchange he shared with Ireland flanker Peter O’Mahony. Haskell revealed he had been in touch with his former British & Irish Lions teammate. “I texted him after the game,” revealed Haskell on JOE’s House of Rugby. “One of his favourite things is saying, ‘Maul, maul, maul. It’s a maul, referee. It’s a maul!’ That’s all he shouts because he loves the catch (choke) tackle. “Is it even a maul if Peter O’Mahony isn’t shouting, ‘It’s a maul referee’? That’s his power-skill. If he was a Top Trumps card, lineouts would be a 9 (out of 10). Shouting ‘Maul!’ would be a 10.5.